In Battle for Azeroth, the Alliance and Horde aren’t fighting without purpose. 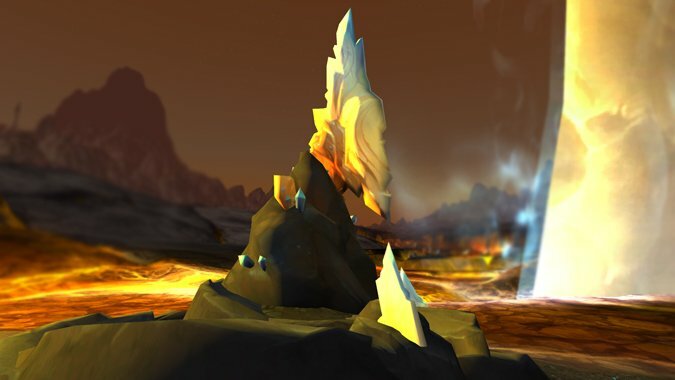 A large part of the upcoming faction conflict is due to the sudden appearance of a new mineral in the world: Azerite. But Azerite isn’t your average, everyday rock. It’s the crystallized blood of Azeroth, unleashed when Sargeras plunged his blade deep into the planet at the end of Legion. 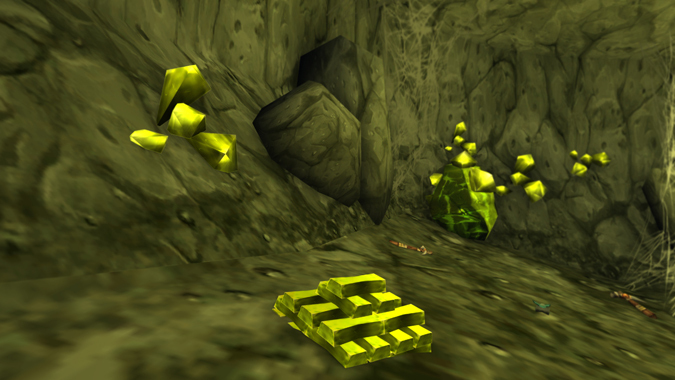 This isn’t the first time we’ve seen strange minerals on Azeroth. There have been others over the years, each with unusual properties. But none of them have quite garnered the same amount of attention as Azerite. Why, exactly, are we fighting over the blood of the planet? What makes Azerite so alluring for both sides? Why exactly is it so valuable – and what other strange minerals does Azeroth hold? This isn’t the first instance of blood becoming a valuable mineral. 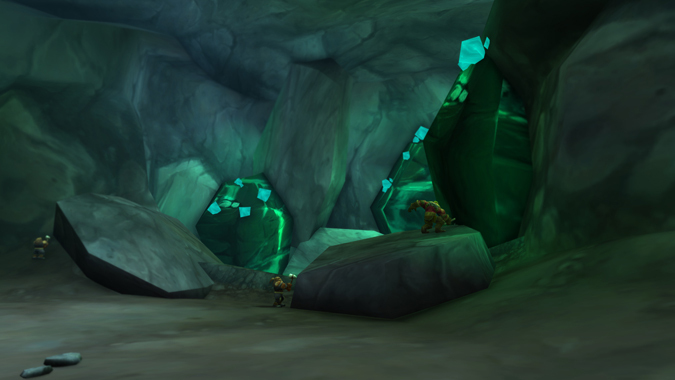 In Wrath of the Lich King, players travelled to Northrend, where they found a different kind of rock – saronite. Saronite is incredibly strong, but lightweight. It’s resistant, and even reflective in some ways, to nature and holy magic. It was used to build the Lich King’s fortresses in Icecrown. And, of course, it’s blood – the crystallized blood of the Old God Yogg-Saron. Saronite first appeared in Azeroth thousands of years ago. Fandral Staghelm recognized the dangerous nature of the substance, and planted branches from Nordrassil over the saronite growths. This resulted in the creation of the Great Trees scattered around Kalimdor and the Eastern Kingdoms today. It also resulted in the creation and eventual corruption of Andrassil – now known as Vordrassil. And, of course, it opened a way for the Old Gods to access the Emerald Dream, which ultimately spawned the Emerald Nightmare. Saronite is bad news. Those who choose to mine it find themselves losing their sanity over prolonged exposure to the mineral. They’ll begin hearing whispers that drive them mad, causing them to turn on their allies. That’s part of the reason why it was so effective for the Scourge – as mindless undead, they really didn’t have any sanity to lose. The fact that the Alliance and Horde were eventually able to craft effective armor and weapons out of the metal is nothing short of extraordinary. On Kezan, one strange mineral managed to change the fate of an entire species. Long, long ago, Mimiron discovered an unusual mineral called kaja’mite. Kaja’mite was no ordinary mineral – in his experiments, Mimiron discovered that it exhibited strange properties, and enhanced the intelligence of his subjects. One of these was a small, primitive race of creatures that, after consuming the kaja’mite, eventually turned into the race we now call Goblins. Due to the Sundering, the Goblins of the world were cut off from their supply of kaja’mite. They took refuge on Kezan, where their intelligence began to dwindle. Eventually, they were enslaved by Zandalari that also traveled to the island. Forced to mine kaja’mite for the Trolls, the Goblins started to regain the intelligence they lost. Eventually, they overthrew the Zandalari and built a vast empire of invention and trade. But kaja’mite was a finite resource, and eventually supplies began to run out. Kaja’mite doesn’t appear to be the blood of anything – it’s simply a strange, extraordinary mineral that exhibits unusual properties. At the same time, the fact that it exhibits those properties may point to an unknown origin that we simply aren’t aware of. The majority of Azeroth’s ore is inert – it can be smelted into metal, crafted into weapons and armor with no discernable effect on the user at all. But there was more than kaja’mite on Kezan – and Jastor Gallywix managed to stumble across a vein of something much, much more influential than mere kaja’mite while he was on the island. Azerite’s first appearance wasn’t with Sargeras’ blade. While mining deep into the earth in search of more kaja’mite, the Goblins of Kezan found some of the mineral – a chunk of it even graced the end of Gallywix’s staff. It was inert, which is why it retained a red appearance for so many years. With the wound Azeroth sustained at the end of Legion, Gallywix’s crystal flared to life. Azerite is similar to kaja’mite in some ways. Rather than merely boosting intelligence, Azerite boosts…everything. It heightens the senses and gives the wielder an innate sense of exultant calm, as well as an abundance of energy. And in some ways it affects intelligence too – heightening insight, alertness, and logic, as well as strength, dexterity, and control. Like saronite, it’s nigh-indestructible. And while it doesn’t drive mortals mad, it seems to negatively impact elementals. On top of that, Azerite seems capable of both healing and destruction. It’s incredibly volatile, just like the Well of Eternity was back in the day. That’s because it’s composed of the same stuff – Titan blood. The Well of Eternity was essentially a lake of Titan blood. 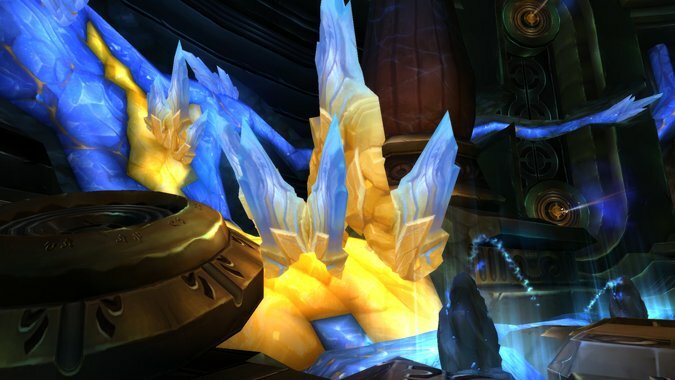 Azerite is crystallized Titan blood. Both have arcane properties, and both can be used for benefit — or for mass amounts of destruction in the wrong hands. And perhaps that’s why Sylvanas Windrunner is so interested in the mineral. Sylvanas is looking for a way to extend the life of her people – it’s possible that Azerite could help accomplish that purpose. It’s also a powerful weapon, which means she could utilize it to kill a lot of people, and bolster the ranks of the Forsaken with new undead. But this isn’t the first time Sylvanas has meddled with mysterious minerals. 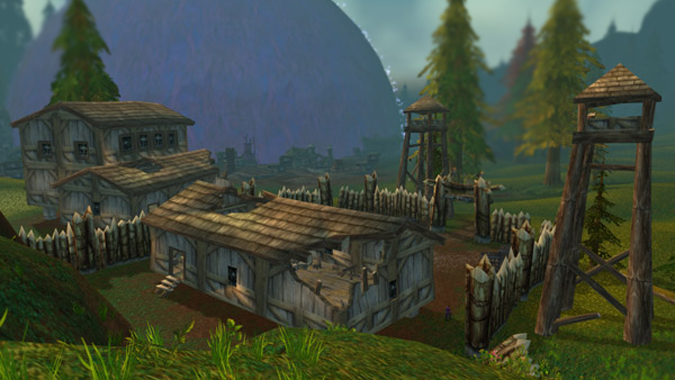 In the days of classic WoW, Horde players questing in Hillsbrad Foothills were sent to retrieve four artifacts stolen by traitors to the Undercity. The four artifacts were crafted from a mineral called bloodstone – a wedge, a shard, a marble, and an oval. The “traitors” took the artifacts, and fled to the ruins of Dalaran, where they sought asylum with the Dalaran mages still patrolling the area. The leader of the Forsaken group, Kegan, turned the artifacts over to a mage named Warden Belamoore, who immediately set to studying the unusual mineral. But bloodstone didn’t behave like a regular mineral. It behaved almost as if it was alive, confounding Belamoore’s experiments in an almost deliberate fashion. And Belamoore was somewhat disturbed to discover that bloodstone absorbed blood after cutting herself on a cracked beaker near the artifacts. Her blood was drawn to the stone, and then absorbed within it. On further study, Belamoore noted that there were elemental forces fused within the stone – and although outwardly inert, the forces seemed to rage inwardly against each other. Kegan suggested that the Old Gods had something to do with the artifacts, but it was never really proven. However, Belamoore did sense an odd power within the stones, one that yearned for release. Both Kegan and Belamoore were killed by Horde players, and the artifacts were presumably returned to Sylvanas. But their purpose was never defined – it was simply stated that they were items that Forsaken apothecaries used in “certain studies,” without clarifying what those studies were for. On the one hand, one might assume that yes; these were artifacts crafted from the blood of Old Gods just as Kegan presumed. On the other…Azerite has been defined as being red when inert. The red bloodstone was also inert, according to Belamoore’s studies. Has Sylvanas actually encountered Azerite before, perhaps without realizing exactly what she had in her possession? It’s a good question, but unfortunately it’s not one we have the answer to just yet. Azeroth isn’t your normal, run-of-the-mill planet. It’s a land of magic, and the home of a Titan world-soul, as well as a handful of persistent Old Gods. With that in mind, the presence of unusual minerals on the world isn’t exactly shocking information. Stranger things have happened, after all. However, it is a little strange that there are so many variations. Particularly in the case of kaja’mite and bloodstone – neither of them have clearly defined origins. As it stands, Azerite is the focus of everyone’s interests at this point in time – it exhibits magical potential the likes of which we haven’t seen since the earliest days of the Well of Eternity. But although both factions may want to get their hands on Azerite, there’s only one place it really belongs: back with the world-soul that bled it out in the first place. 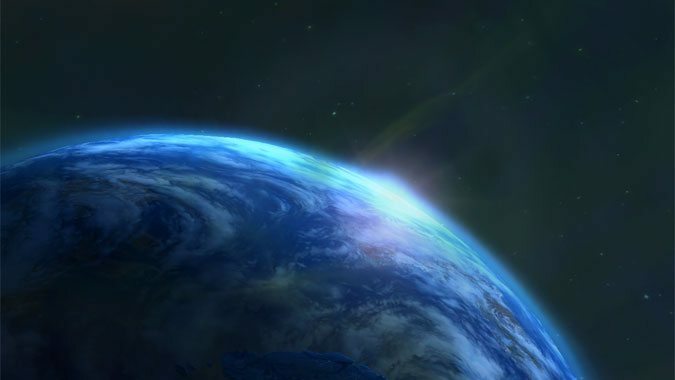 If we don’t get it together and focus our efforts on healing Azeroth, it won’t matter who has control of the Azerite – because without Azeroth’s oceans, continents, and yes, strange minerals, we’ll simply cease to be.